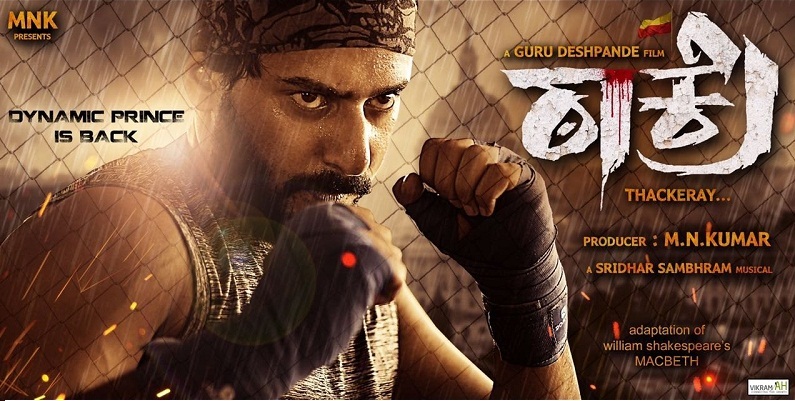 Hello guys today i am sharing the full details about upcoming kannada movie "Thackeray". This movie is written and directed by "Guru Deshpande". He got a fame from 2013 released movie "Raja Huli". The movie produced by MN Kumar under MNK Movies banner while "V Sridhar" scored music for this movie. It starring Prajwal and V Ravichandran. The movie story looks powerful and it go an amazing response after the first look poster. After playing father to Sudeep in Manikya and to Ganesh in Mungarul Male 2, Ravichandran, is playing an important role of a godfather to Prajwal while, Prajwal will be seen in thrilling role. The release date is locked for 08 Dec 2017. You need to wait a lot for the movie. I will soon update more information about this upcoming movie. Dont forget to share the information and keep vising my website for more information.